This webpage, and all of http://www.ski-epic.com are yours to enjoy. Feel free to use any pictures found here for any purpose you like, with or without credit. I grant you full rights, for free, forever, to do anything you want, including redistribute the pictures with or without any credit to me. This isn't my job, it's just my vacation website. Enjoy! 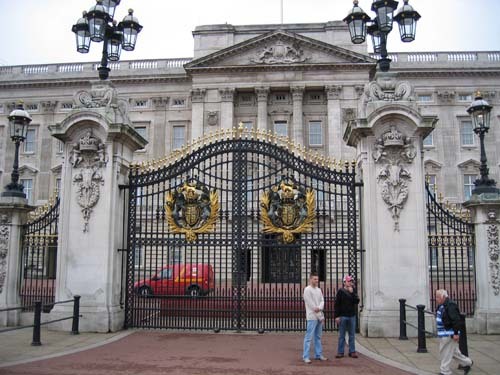 On July 21st - July 27th, 2005, I went on a quick vacation to visit Pavni and Stuart and Nilay in London. Along the way Nilay and I went to Amsterdam for 2 days. Below are some pictures. Click on any picture for a much larger version. 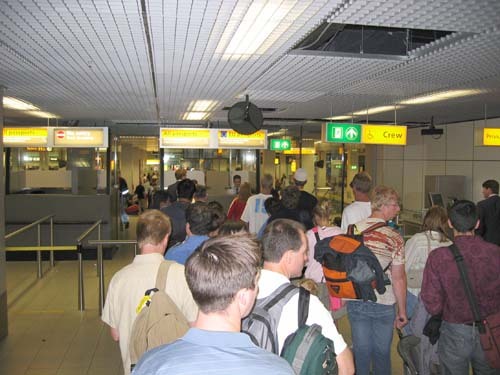 Just after landing at London Heathrow airport, here I am in line to go through Passport checks. 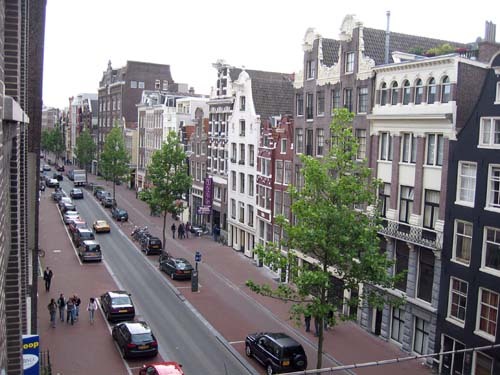 Below is a map of Amsterdam with important highlights. Click on the map for a HUGE version. 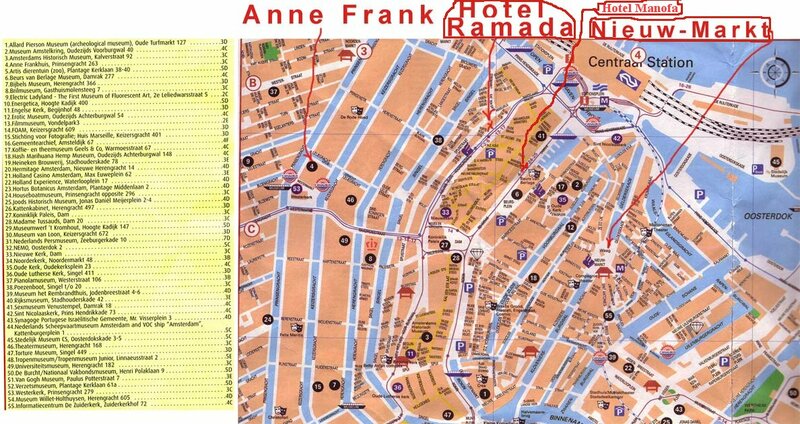 We stayed in Hotel Ramada, highlighted below. All the blue areas are canals, Amsterdam is gorgeous with these canals flowing through it everywhere. Boats float by under bridges as you walk over them, it's a very scenic city. 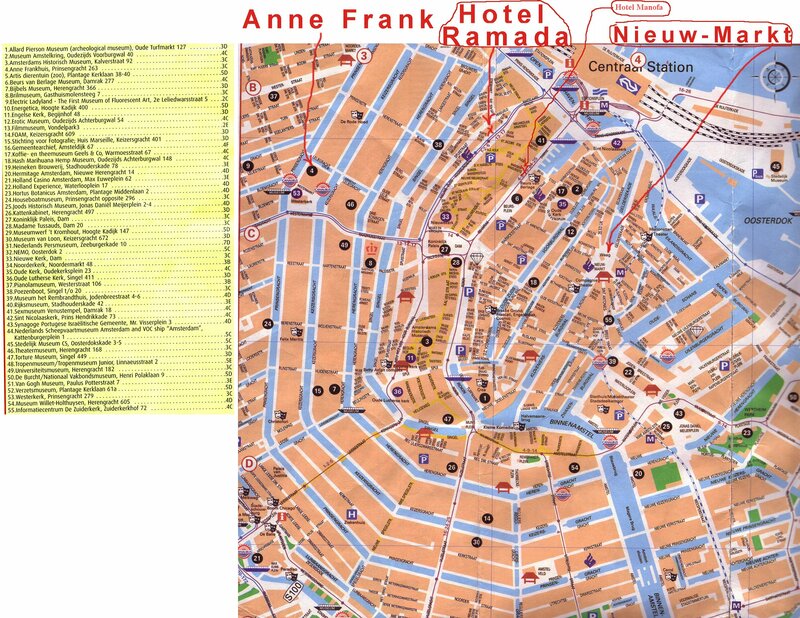 To give you an idea of distance, it took me about 10 minutes to walk from the Hotel Ramada to the Nieuw-Market Square (both pointed out on the map below). The Ramada is the "HOTEL" sign below all in red. 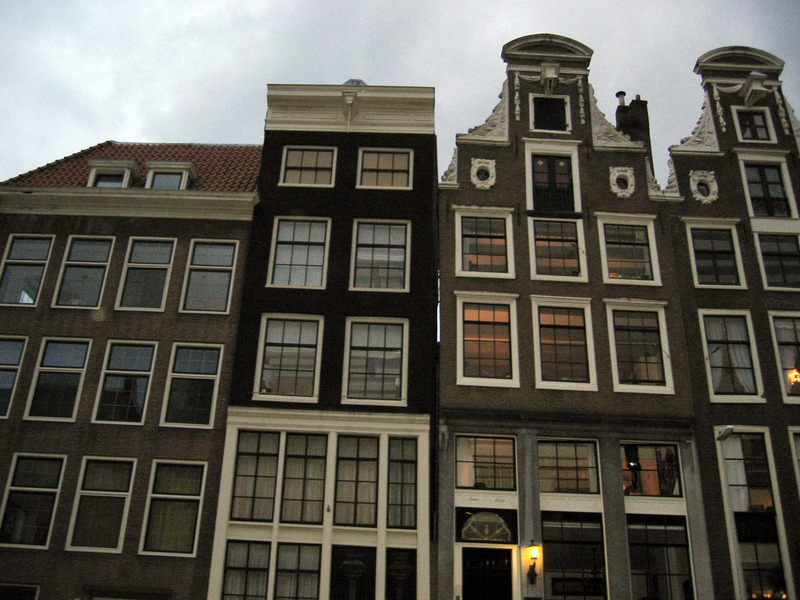 Below is a panorama from the street in front of our hotel in Amsterdam. Use your horizontal scrollbar to pan left and right to see the whole thing. 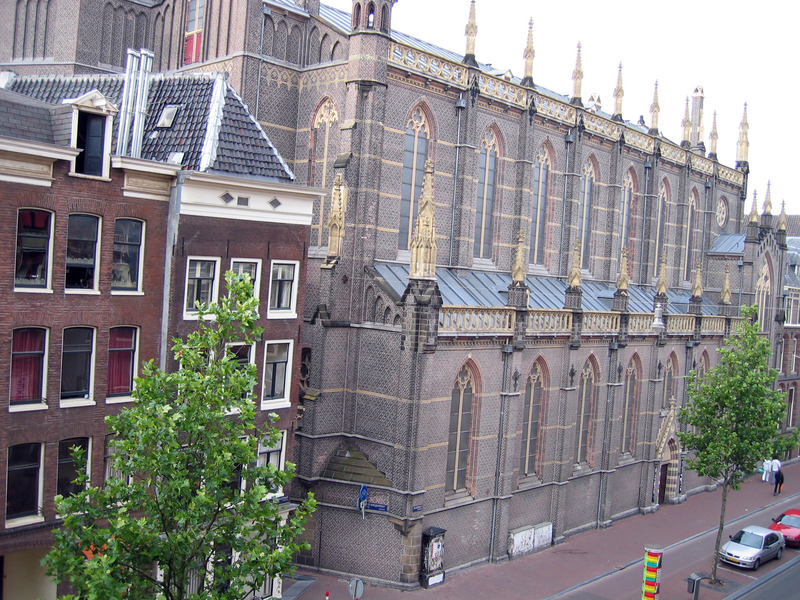 Below is "Oude Kerk" (literally "Old Church") which is a 13th century church in Amsterdam. I think this picture below is also of Oude Kerk, it is a vertical panorama I took (the building doesn't lean like the picture makes it seem). Amsterdam is famous for lots of things, one of which is the legal status of marijuana. 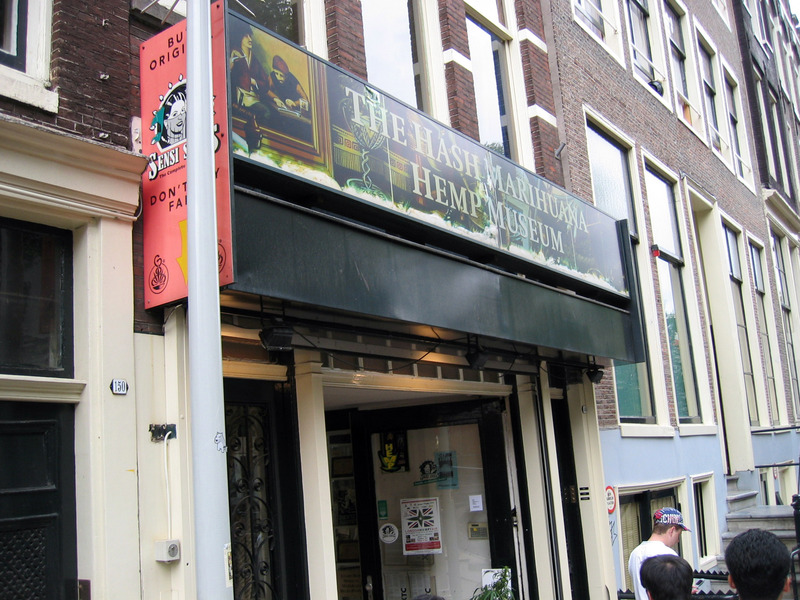 Below is a picture of the "Hash Hemp Museum" which we went through, it details some of the history of marijuana and hemp. 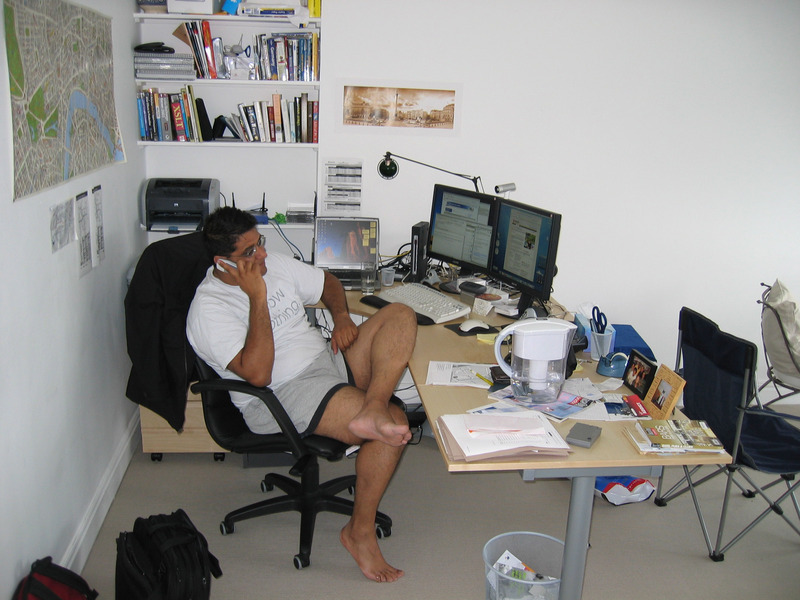 Nilay and I arrived at different times (he came in from Paris). When I arrived in Amsterdam, I left him a note in our hotel room to come find me in the "Nieuw Markt" plaza (a large open square, marked on the map above), then walked here and got coffee sitting in the cafe below. Scroll to the right to see the whole area. Nilay found me here a little while later. 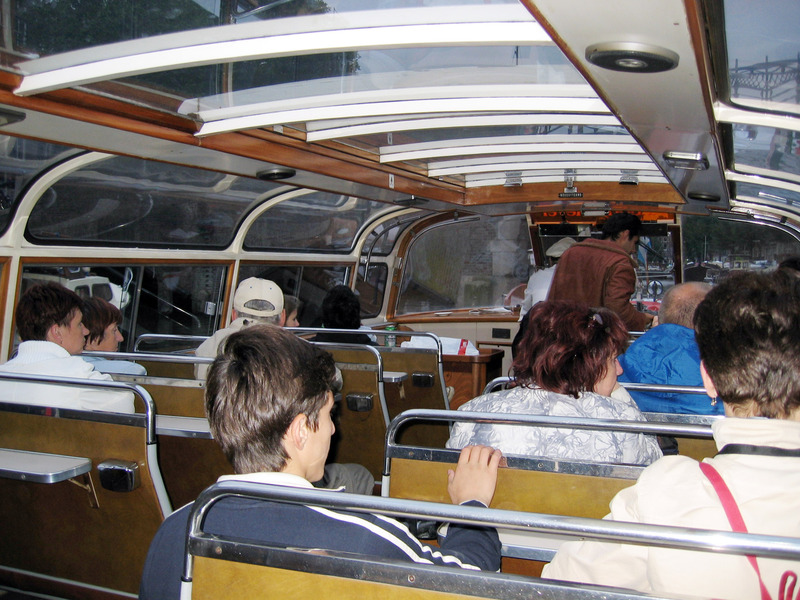 We took a canal tour, which was fun. The city of Amsterdam is criss-crossed with canals, and this is a great way to see a tour of the architecture of the city and get a little history from the tour guide. Below is a picture of the inside of the tour boat. The boats have to be short (low) so they fit under the bridges. We took the tour at the end of the day as the sun went down. Very pretty. 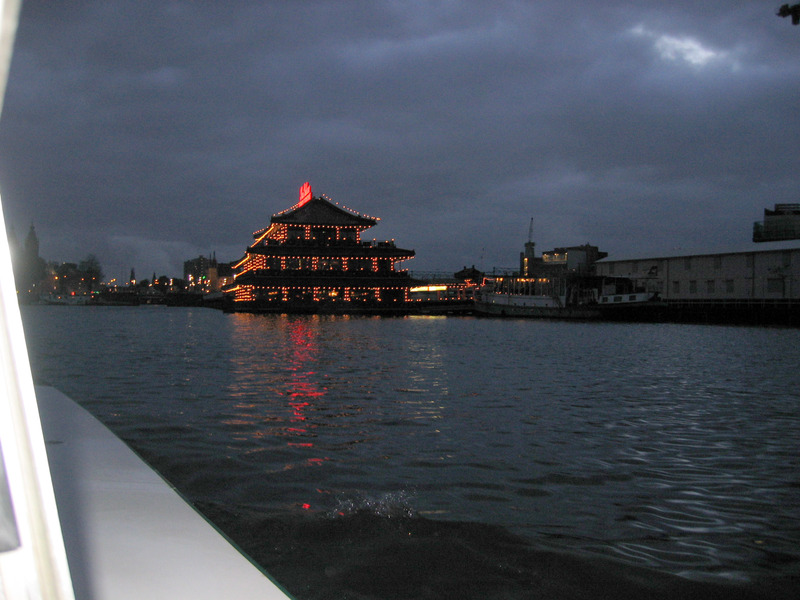 Here we are out in the main harbor. The large building is "Central Station". 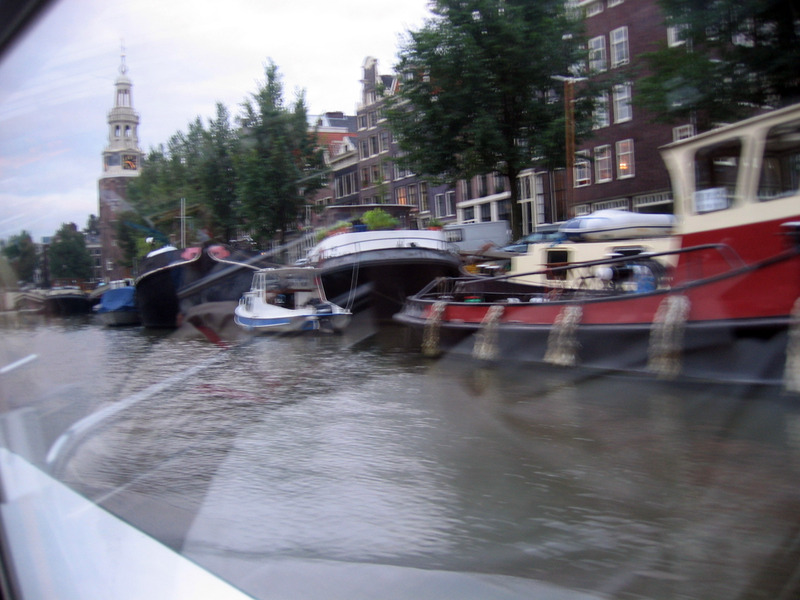 The sides of all the canals are lined with boats, many people live aboard these. Random picture during the boat tour. Rnadom photo from the boat tour. 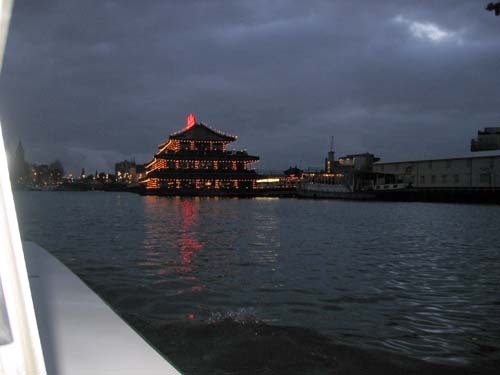 Chinese restaurant lit up in the main harbor. On the street there are these "public urinoirs" (public urinals for men with no walls and no privacy). A little too "public" for my taste, but we saw many people using them. 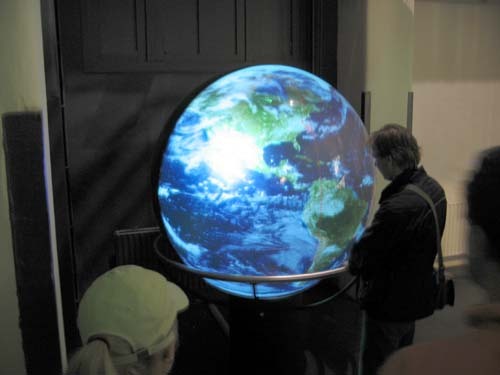 Below is a picture of one of these. 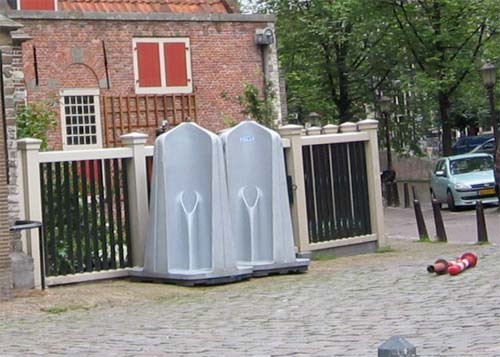 Men will just stand in these and take a leak. 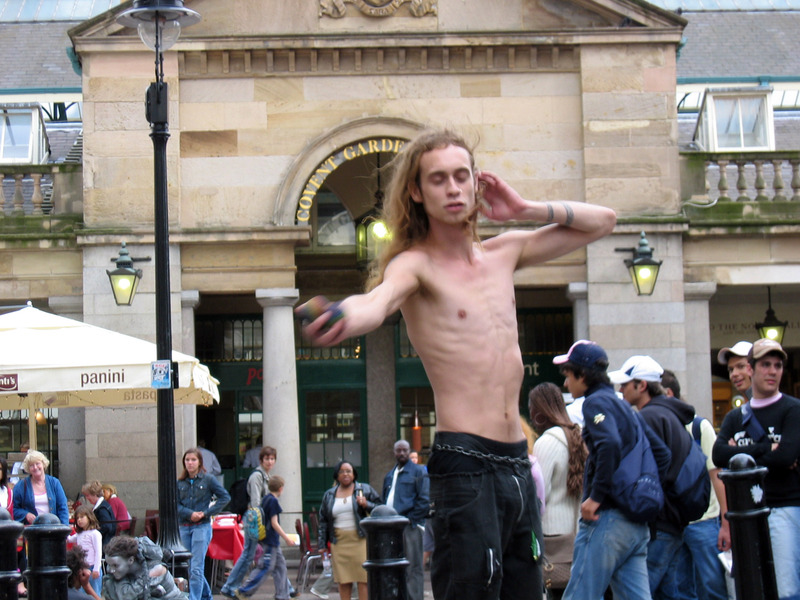 The Netherlands is a funky, funky place. 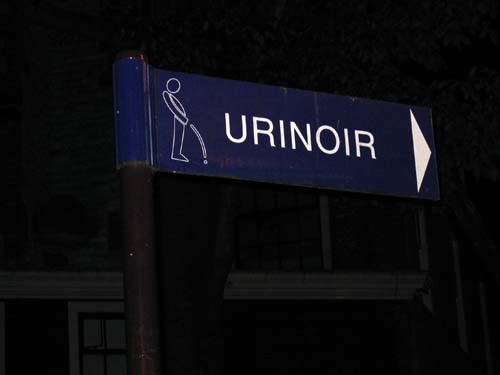 A sign directing you where to find one of these. 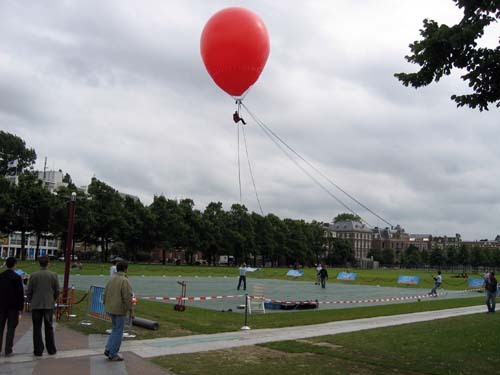 We think this was a promotion for some product or other, they were giving free balloon rides (there is a person sitting below the balloon). After visiting the Van Gogh Museum, we came across this discarded "Macintosh LC II" just left sitting in the street next to some trash. 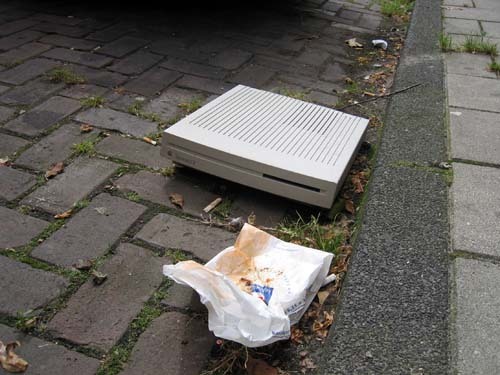 There was a day a few years ago this was a $2,000 piece of high tech machinery, now it isn't worth carrying all the way to the dumpster, you just leave them lying in the street. 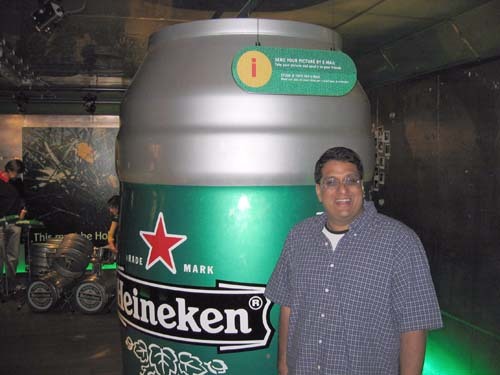 We took the "Heineken Tour", and some pictures are below. 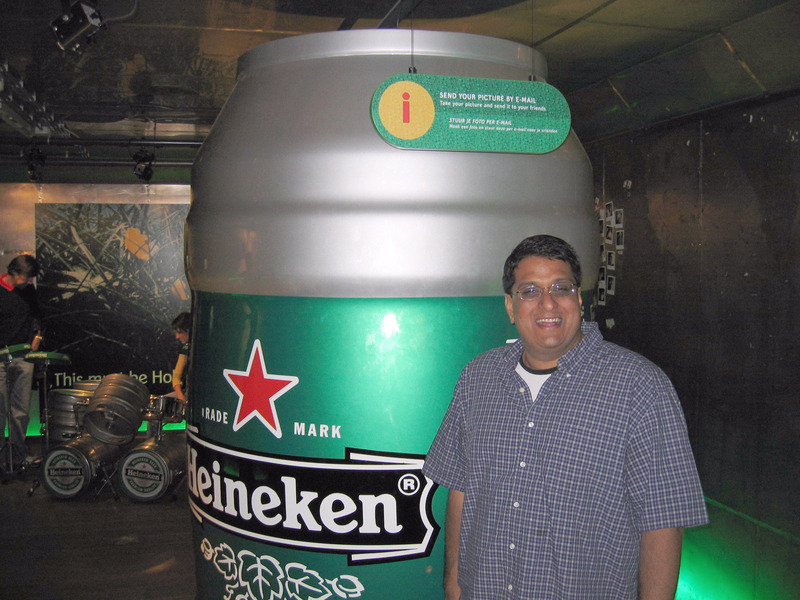 Heineken is brewed in Amsterdam, and the tour of the brewery is silly, but fun. Below is a big glowing globe (for no reason, like most of the stuff in the tour it is pointless). 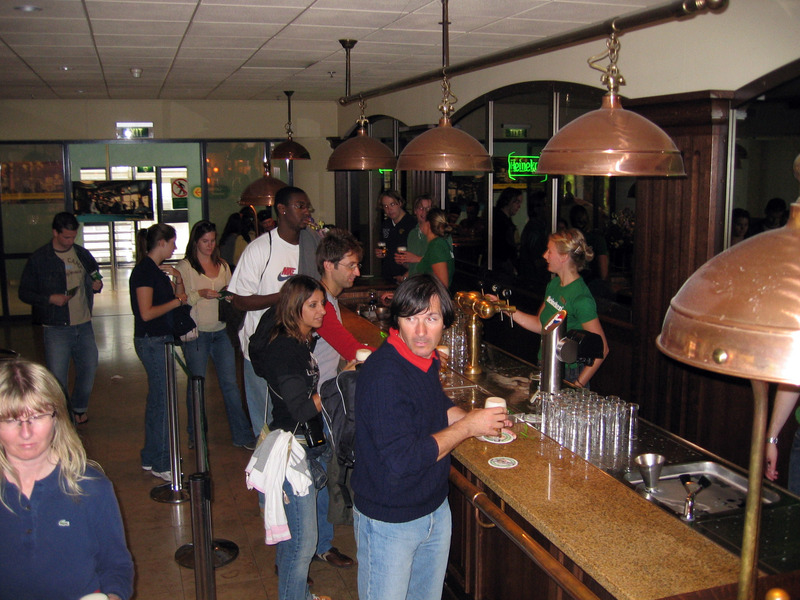 The tour includes free beer at various stops along the way in the middle of the tour. Below is the first free beer stop. Nilay posing in front of a random display on the tour. This is the view out the back of our hotel window. I thought this was interesting. Below is a picture of a "drained" canal so they can work on it, this picture shows some construction going on. 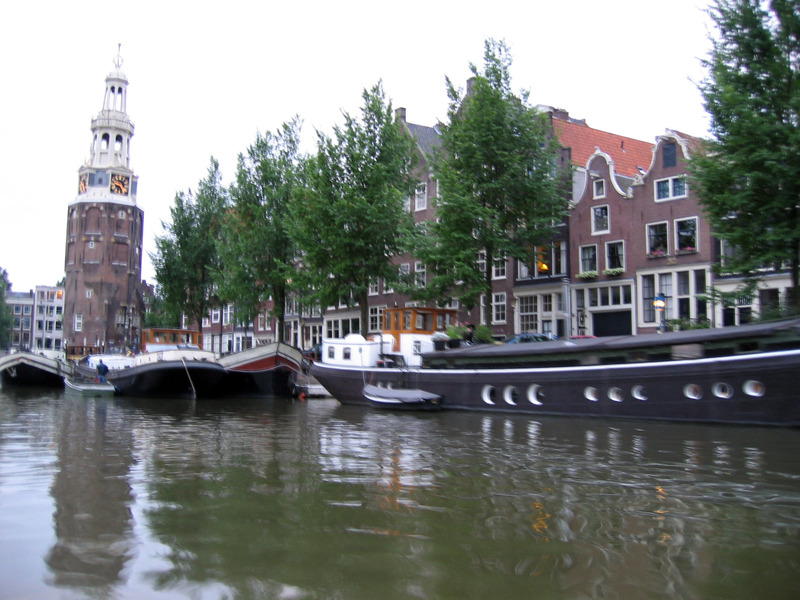 Below is a panorama of the "Dam Square". 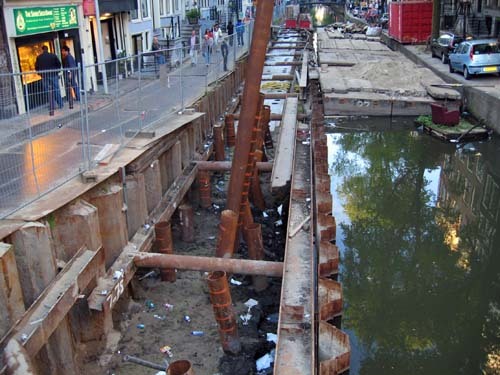 This was the original dam of the Amstel river (in the 13th century). 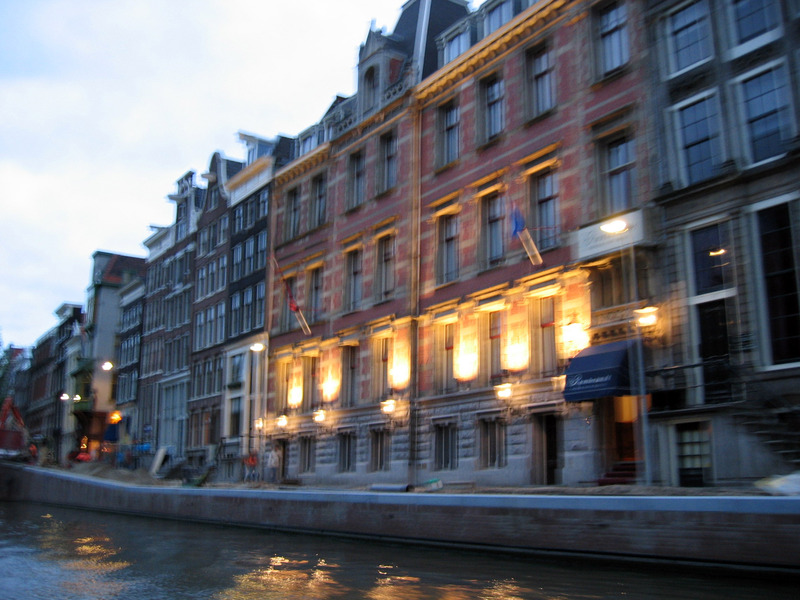 The building on the left is the Royal Palace (Koninklijk Palace). 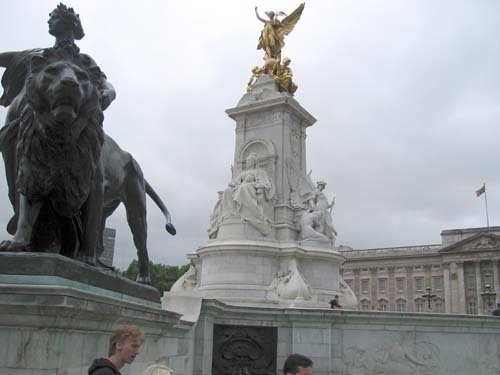 The statue in the middle of the square (scroll to the right to see it) is the "National Monument" which is in honor of Dutch soldiers who died in World War 2. I saw this in the airport as we left Amsterdam. 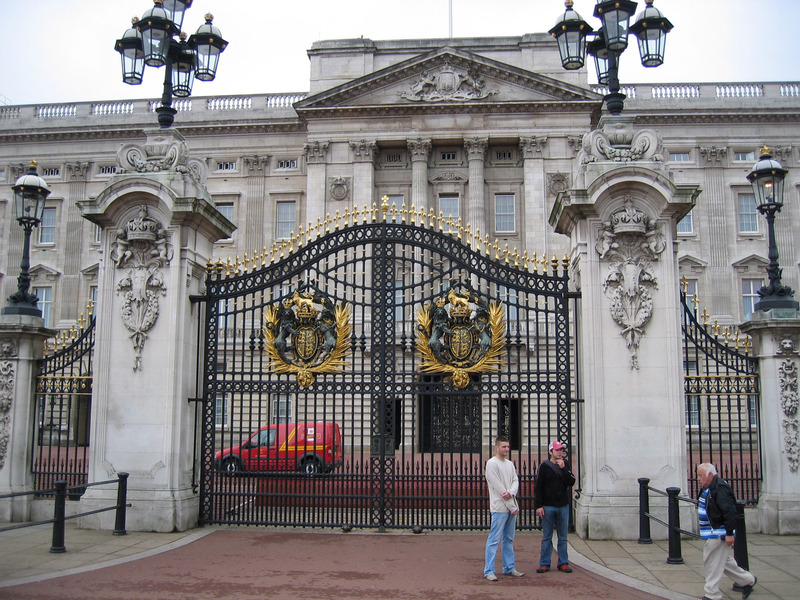 We also saw these later in England. I think all cigarette packs in Europe have to have these messages in these big fonts on them. 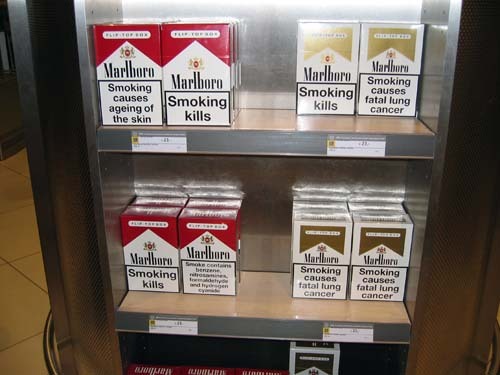 "Smoking kills" and "Smoking causes fatal lung cancer". Wow. This is a picture of the front of Nilay's apartment. 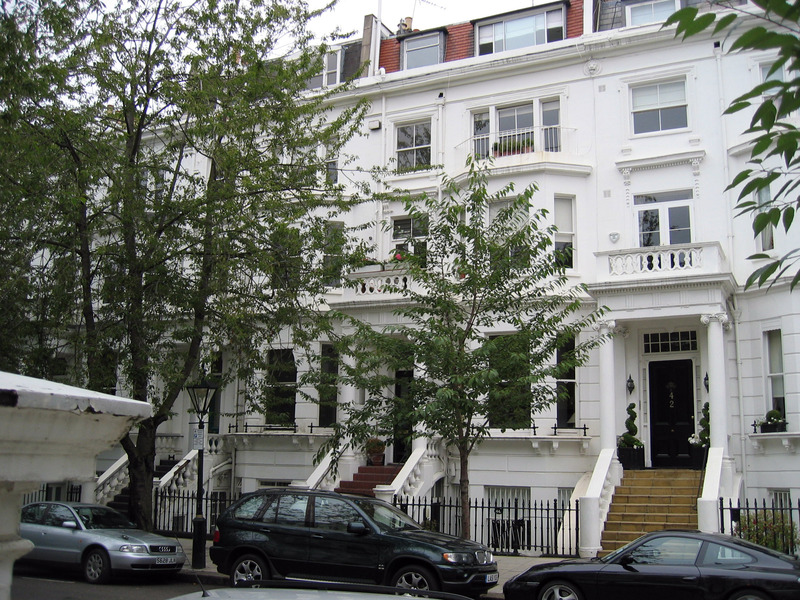 Or as we like to call it, "MailFrontier London". 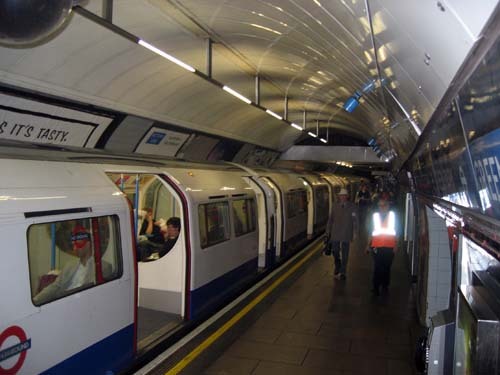 A picture of the "tube" (London's Subway). The recent bombings caused a few subway lines to be shut down, but most of it is running. 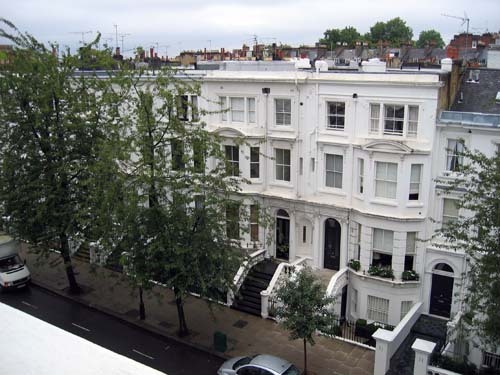 The view from Nilay's front window down to his street. A panorama from Nilay's front window. I went out site-seeing alone the next day, here is Buckingham Palace (official residence of the Queen of England). Close ups of some statues. 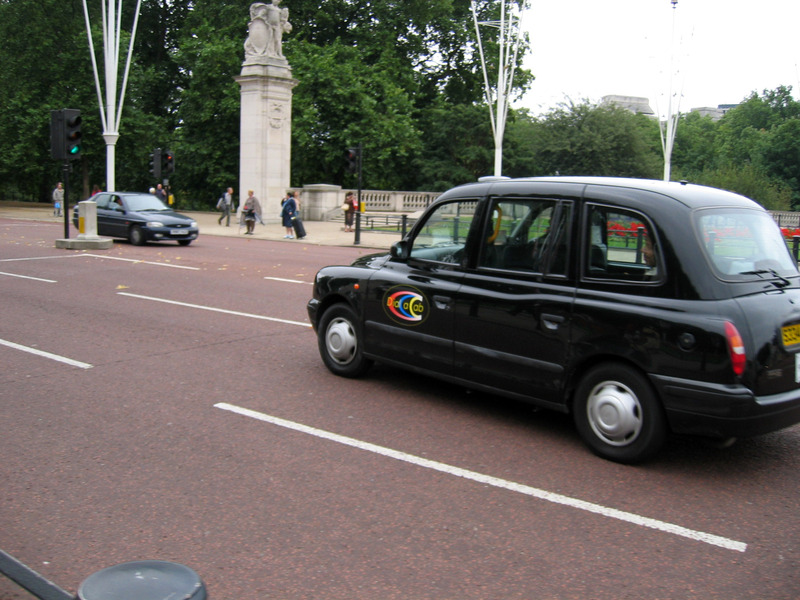 The taxi below is called a "London Cab". 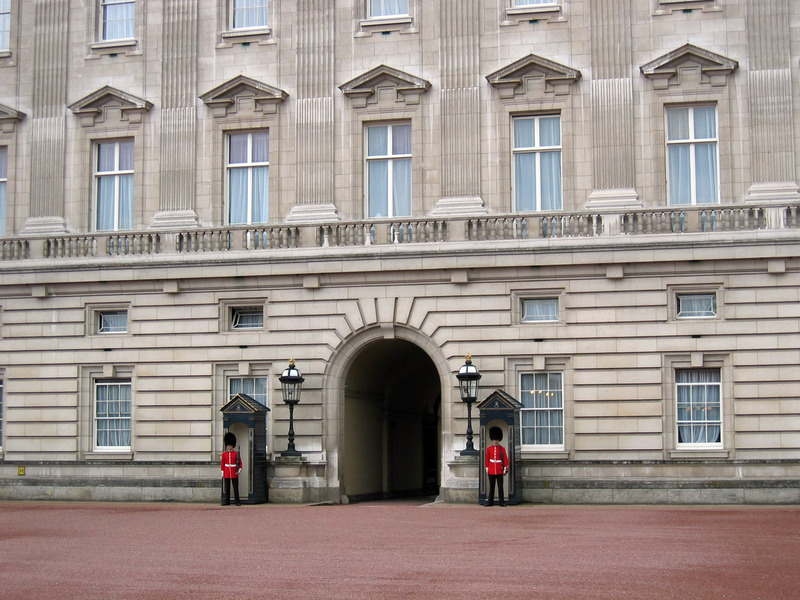 They are EVERYWHERE in London, they are the only type of official taxi. 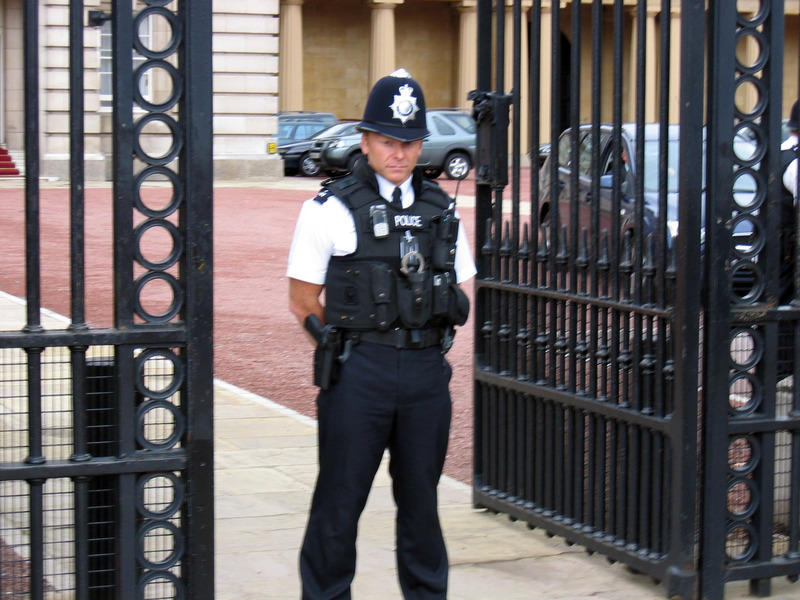 More guards at Buckingham Palace. Random picture of the front of the gate. Moving on, I went to Westminster Abbey. It was first built around 960 AD as a small Benedictine monastery. Later rebuilt, then rebuilt again. 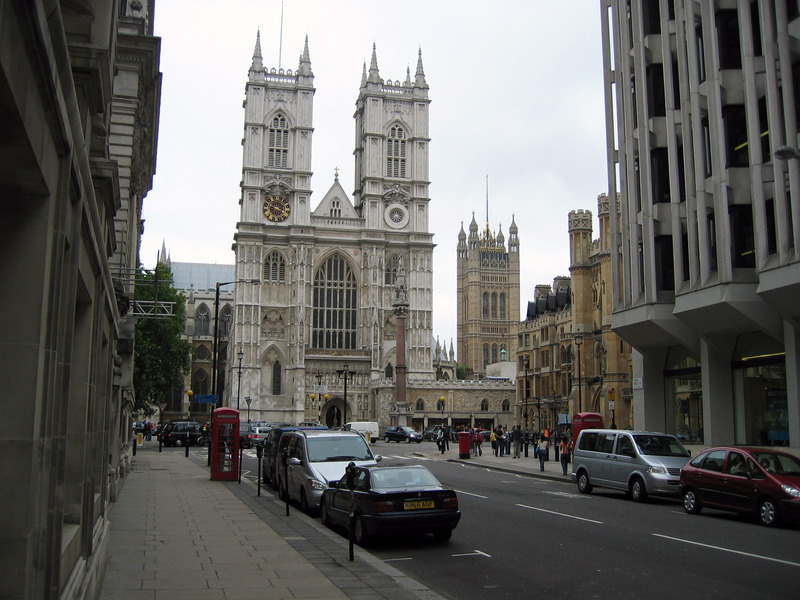 Closer up picture of the Abbey (on the left). 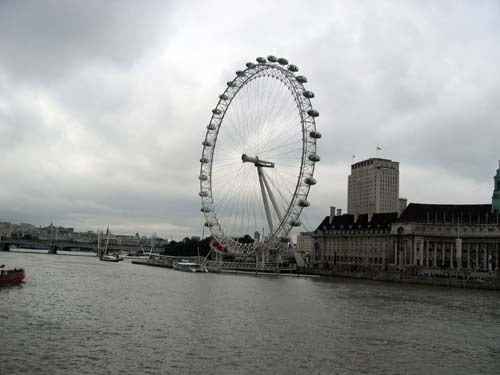 Nearby is the "London Eye", which is a ride. I didn't go up in this, but people say the view is fantastic on a clear day. Next to Westminster is the House of Parliment, on the end is Big Ben. 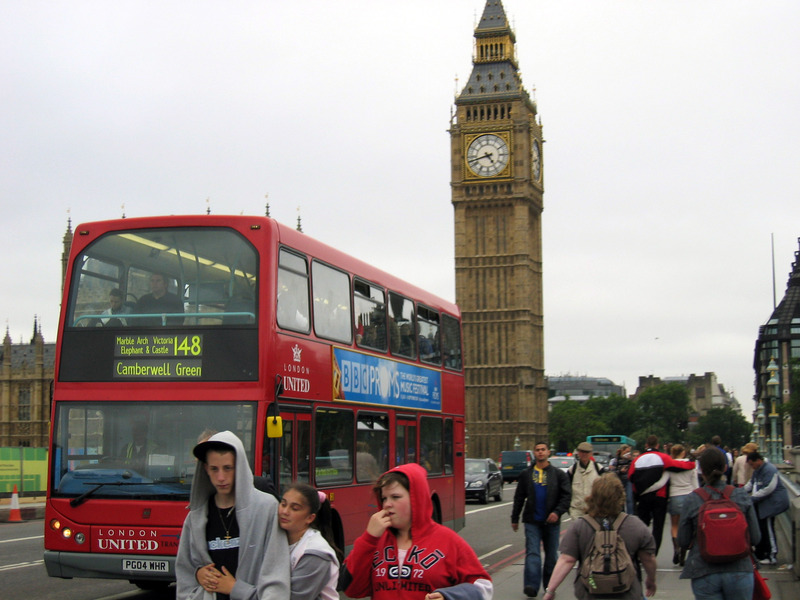 I like the picture of Big Ben below because it also has one of the famous London double-decker busses in it. 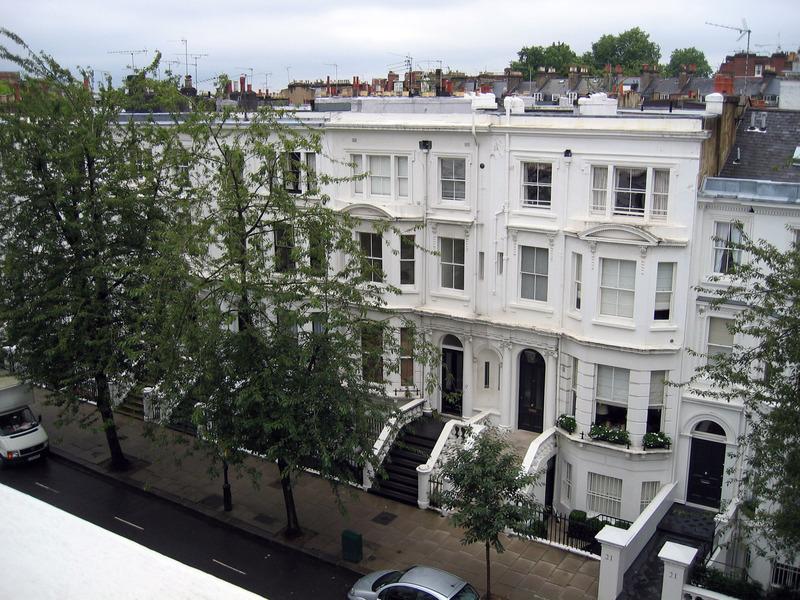 Later that day, I went up on Nilay's roof and took this 360 degree panorama of London. Here is a pamorama of the main areas of Nilay's apartment. There are two small bedrooms behind me as I take this picture, and that's the whole thing. I visited an area of London called "Covent Garden". 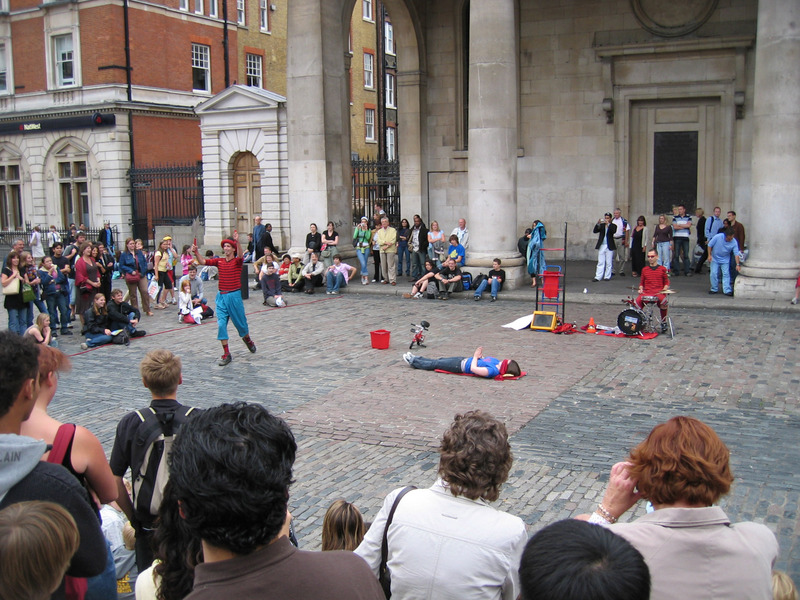 There are street performers everywhere, cafes where you can sit outside, etc. Very fun. 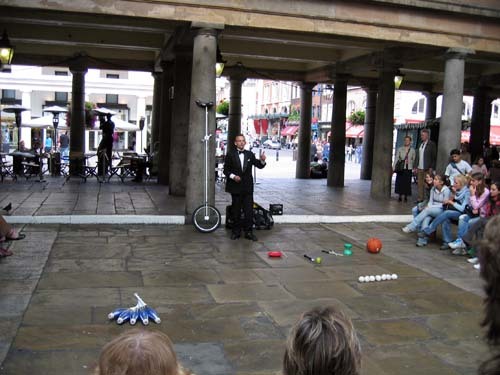 Below is a random juggler. Another street performer at Covent Garden.